Lucy Pearl Davenport 79 of Lexington, Ky formly of Raccoon, Ky. 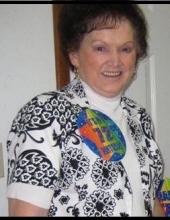 Passed from this earthly life Thursday April 4, 2019 in Lexington, Ky.
Lucy was born Thursday August 24, 1939 in Pike County, Ky a daughter of the late Alva Coleman and Elzie Coleman. John Ed Davenport. Children's father Randall L. Haney. Two sisters Cory Ellen Coleman & Joyce Buckles. Three brothers Riley B Coleman, Esther Coleman and Johna Ray Coleman. Lucy is survived by four children Laveta Slone (James Bo) of Raccoon, Ky.
Marlene Francis Adams of Raccoon, Ky., Christine Adams (James) of Richmond, KY.
Darlene Newsome (Donald Ray) of Teaberry, Ky., 11 Grandchildren and 24 Great Grandchildren. Lucy Pearl Davonport leaves behind many other family and friend to mourn her passing. Lucy Pearl will be sadly missed by all those who knew and loved her. To send flowers or a remembrance gift to the family of Lucy Pearl Davenport, please visit our Tribute Store. "Email Address" would like to share the life celebration of Lucy Pearl Davenport. Click on the "link" to go to share a favorite memory or leave a condolence message for the family.